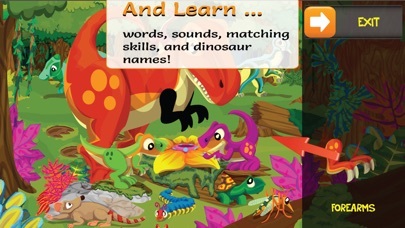 From the maker of the acclaimed PUZZINGO series of puzzles for kids and toddlers comes a puzzle game that’s all about dinosaurs! There are 7 interactive puzzles in this app. 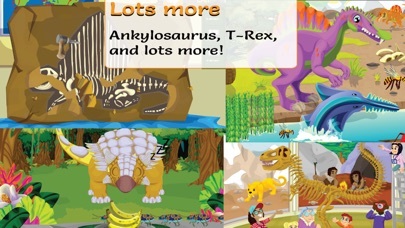 The puzzles include many popular dinosaurs, from the powerful T-Rex, to the majestic Triceratops, to the adorable Ankylosaurus, to the gigantic Apatosaurus, and more! After your child completes the puzzles, he will be rewarded to fun mini-games where he can play with the dinosaurs or dig for dinosaur bones. 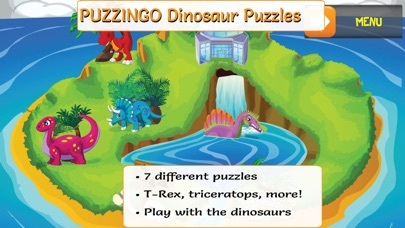 Like all PUZZINGO Puzzles, PUZZINGO Dinosaur Puzzles are full of interactivity, animations, and sounds for many repeat plays. Besides being entertained, your kid will build vocabulary, memory, and cognitive skills while playing. This tactile game also appeals to young kids and children with special needs. It helps kids develop spatial recognition, matching, tactile, and fine-motor skills. As for you parents, this game is designed to be playable by you and your child together, so you can participate and bond with your child. Also, like all PUZZINGO Puzzles, when your child finishes a puzzle, he will be rewarded to a variety of engaging “mini-games”. Visual and audio cues throughout the app are specially designed to make the game accessible by young and special needs children. See what other customers say about PUZZINGO Puzzle apps: • “Absolutely fabulous, the kids in my moms kindergarten class go crazy for it! It’s so hard to find educational games kids want to play…look no further!” • “This game gets two A+s!! One from me, and one from my 3yr old! 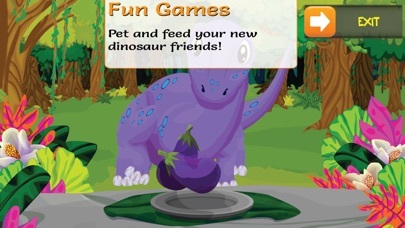 !” • “I work with special needs preschool children and they always ask for “the Puzzy Game” NOTE: This PUZZINGO Dinosaur puzzles app contains the same content as the In-App-Purchase “Dinosaur” puzzle pack within the free “PUZZINGO Kid’s Puzzle” app. _________________ CONTACT US: If you run into issues with the app on your device, instead of leaving a bad review, please email us at support@77sparx.com. We are not able to respond to reviews, but we will be happy to help if you email us. 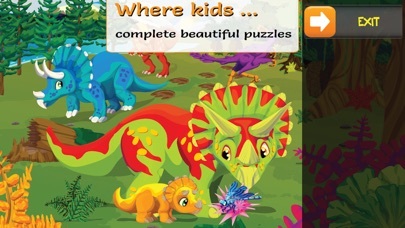 _________________ If you like PUZZINGO Dinosaur Puzzles, please check out our other PUZZINGO Puzzle apps.